Here we review the Monster Ultra Energy Drink Line: Zero Ultra, Ultra Red, and Ultra Blue, Ultra Sunrise, and Ultra Black. One of the newest additions to the Ultra line is Monster Ultra Sunrise.It tastes as you would expect based on the color of the can and the association with a morning beverage. It is orange flavored with hints of tangerine. It isn’t overly sweet just like most of the other Ultras and it is easy to drink. Surprisingly, Sunrise lists 151 mg of caffeine per can which is 11mg more than the other 4 Ultras have. Everything else seems the same. Taurine, Panax Ginseng, L-Carnitine, Caffeine, Guarana, Glucuronolactone, Inositol, and B-vitamins. The caffeine kicks in pretty fast and is about the same as an 8 fl oz of brewed coffee. I like that it is sugar-free and sweetened primarily with Erythritol, which is a natural zero calorie sweetener. 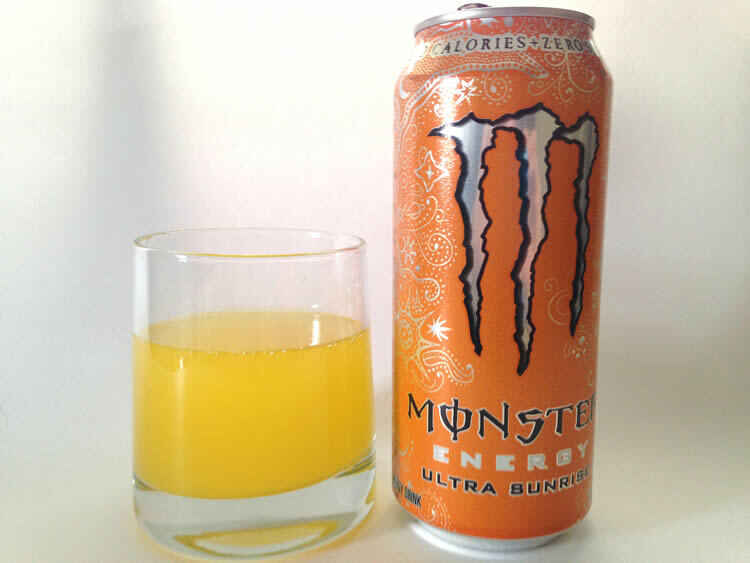 If you like an orange flavored beverage in the morning then Monster Ultra Sunrise may be a good way for you to wake up. Sunrise doesn’t contain any real juice, so you’ll be disappointed if you were expecting that. Monster Ultra Black is for those that love black cherry flavored soda. It has a good black cherry flavor and isn’t overly sweet. The flavor and sweeteners do a good job covering the energy ingredients and there is just a slight after-taste. 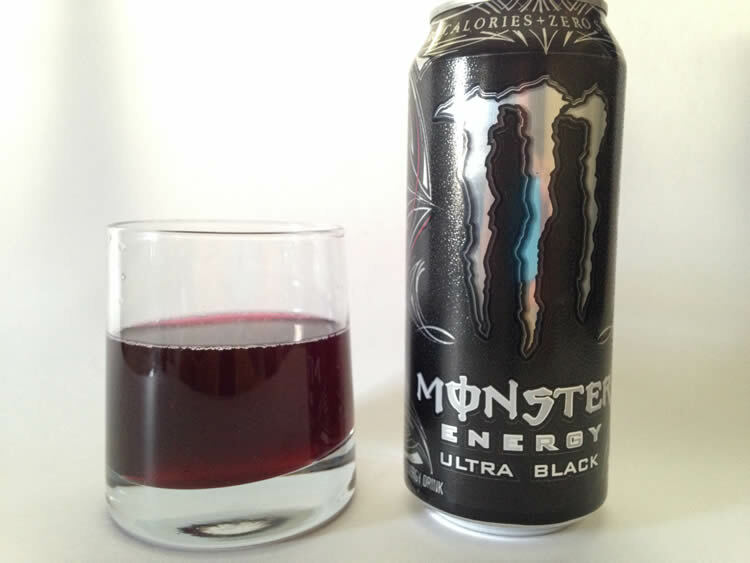 Ultra Black is different than any other flavor in the Monster Energy Drink Line, but is a bit niche. Since black cherry soda isn’t hugely popular, I suspect this flavor of Ultra will have limited appeal. With 140 mg of caffeine just like the Ultras that came before it, Black provides the same boost of energy. The caffeine kicks in fast and lasts for a couple of hours. It is also zero calorie and sweetened with erythritol, sucralose, and ace-k. Overall, this is a good addition to the Monster Ultra Line and will likely appeal to those who like cherry flavored beverages. Monster Zero Ultra is the company’s 4th low/no calorie addition to their energy drink line.However, this drink seems to be clearly marketed to female Monster fans.The can says that “our team riders and our Monster girls had been dropping hints on what they want” and there is definitely a feminine design on the white can. Could Zero Ultra be Monster’s attempt at competing with the popular Rockstar Pink? I grabbed a can at my local 7-Eleven to see what Zero Ultra had to offer. If Squirt Were an Energy Drink…. I couldn’t believe how much Monster Zero Ultra tasted like Squirt Soda. If you aren’t familiar with Squirt, it’s a grapefruit/ citrus flavored soda. When I used to drink soda Squirt was one of my favorites, so Zero Ultra’s flavor is a win with me. It’s light, refreshing, and they did a great job covering up the energy ingredients. The artificial sweeteners were blended well with just a slight after-taste. I could have stood it a little less sweet, perhaps more like Fresca, but I imagine the sweetness is needed to cover the bitterness of the caffeine. No surprises in the ingredient profile of Zero Ultra and it contains both Sucralose and Ace-K to round out its sweet taste. As far as energy is concerned, Zero Ultra doesn’t have the same amount of energy blend as a Regular Monster does. Zero Ultra clocks in at 1400mg per serving or 2800mg per can. This is the same as Monster Absolutely Zero and puts the caffeine content at 140mg per can. With no sugar and less caffeine, this energy drink provides a smooth, even lift, with no sugar crash. Zero Ultra didn’t provide a huge buzz, but it did give me a nice lift for my afternoon. Girl or guy, I think Monster Zero Ultra is a good tasting energy drink for folks that love the energy, but hate all the sugar in standard energy drinks. 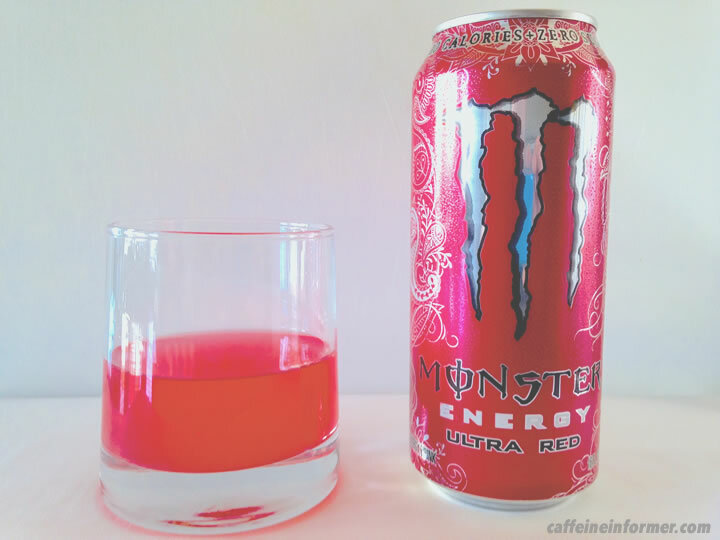 Monster Ultra Red Energy Drink has pretty much saturated the country now.In its early days of release Ultra Red was in such high demand a guy was selling a can on eBay priced at over 100usd at auction! Energy drink connoisseurs were sure eager to get their hands on Ultra Red! I picked one up at the gas station to give Monster’s latest Ultra version a try. It seems like Monster is following Red Bull’s lead and creating a silver (zero), a blue, and an Ultra Red. Zero is citrus, Blue is berry, Red is cranberry. While there has been much debate in our comments as to what the flavor of Ultra Red is, I definitely taste Cranberry, but with some other berry flavor thrown in to mellow out the tartness of the cranberry. The flavor of Ultra Red is ok, but a little too artificial for my liking despite its “natural flavors” listed..
Monster Ultra Red has the same energy blend as Zero and Ultra Blue. This puts Ultra Red at the 140mg of caffeine mark, which is 20mg less caffeine than their traditional line of energy drinks. Carbonated Water, Citric Acid, Taurine, Erythritol, Sodium Citrate, Panax Ginseng Extract, Potassium Sorbate, Caffeine, Acesulfame Potassium, Sodium Benzonate, Sucralose, D-Calcium Pantothenate(Vitamin B5), Gum Arabic, Niacinamide(Vitamin B3), Natural Flavors, Salt, Ester Gum, L Carnitine, L-Tartrate, Inositol, D-Gluguronolactone, Guarane Extract, Pyridoxine Hydroghloride (Vitamin B6), Red#40, Blue#1, Cyanogobalamin (vitamin B12). Monster Energy Blend: Taurine, Panax Gingeng Extract, L-Carnitine, Caffeine, Glucuronolactone, Guarana Extract, and Inositol. 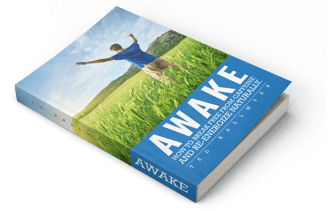 Caffeine from all sources: 70mg per 8fl oz serving (140mg per can). Monster uses 3 sweeteners in Ultra Red, 2 artificial (sucralose & Ace-K and one natural (Erythritol), which give it a pretty sweet taste. I’m not sure I understand Monster’s logic with their Ultra line expect to compete with Red Bull. Ultra Red tastes better than RB’s Red, but those looking for the same caffeine dose per serving will be disappointed. Monster again here is following Red Bull and creating a silver (Zero), a Blue, and a Red energy drink just like their competitor has recently done. Ultra Blue is a berry flavored drink that is lightly carbonated and not overly sweet. I’m usually not a fan of berry drinks, but Ultra Blue is nicely done. Much better than the Red Bull Blue, in my opinion. In Blue Ultra, expect to find Monster’s usual energy blend of caffeine, taurine, ginseng, L-cartine, glucuronolactone, guarana, and inositol along with B3, B6, and B12. However, it is a slightly tamed down version compared to what they put in their regular energy drink line. Also, natural and artificial flavors sweetened with erythritol, sucralose and ace-k.
With just 20mg of caffeine less than a regular Monster, expect about the same effect minus the sugar rush. Monster Ultra contains about the same amount of caffeine that would typically be in a cup of drip coffee or 4 cans of Coke. Adults should consume no more than two during a 24 hour period. Teens should consume no more than one Monster Ultra per day. Have you tried any of the Ultra line? Which is your favorite?